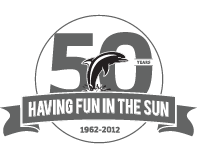 Celebrating over 50 years of fun in the sun! 4) Pay all fees to Miami Hills (Application, Initiation and Annual Dues). Mail to ADDRESS ABOVE. The bond amount is paid to the seller. 5) The membership is ‘official’ when the paperwork is processed and all fees are received. A new bond certificate will be issued to the new member. Going Gaga at the pool this summer? Q: What word looks the same backwards and upside down?